Over the past few months I have realised that time has come for me to change. I am no longer the person I was last year, even last month. I am ready to embrace change to its fullest extent, even if that means not knowing what is coming next. If you asked my family they will tell you that I like being in control, and they wouldn’t be wrong. I have spent my entire lifetime trying to control the outcome of every situation that I am in but I now realise that I have never been in control. Things happen regardless of what I want and what I do. The only thing that I have any hope of controlling is my response to different situations, and often I don’t even have control over that. I was living a life where I was trying to be in control of everything. I was living a life where I showed up as the person I thought others wanted me to be. I was constantly worrying that the world would find out that I wasn’t really in control and I wasn’t the person they thought I was. Living that life led me to burnout at least 3 times and it left me disconnected from myself and the people that I loved. The problem is that from the outside my business and life looked successful. I have run a large successful natural therapy clinic that made a lot of money. I have worked with thousands of clients. I have an Amazon #1 bestselling book. I have run weekend workshops that have changed women’s lives. I have coached others to having successful businesses. I have had regular speaking gigs where I shared the secret to living a stress free life. It all looked great and in a way my business was successful but it wasn’t stress free and it wasn’t the real me. My world was in turmoil earlier this year. I knew that I couldn’t go on repeating the same mistakes. Living the same way that I had done in the past. I no longer wanted to keep up with the façade that everything was going great in my life when it wasn’t. I have lived chronic pain for over 3 years and this has impacted my health and well-being. 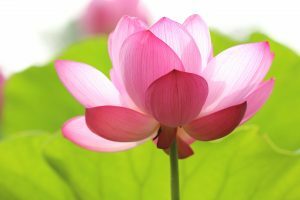 I know that there is a strong emotional component to this pain that still needs to be resolved. As a woman I am in menopause. My body, my thoughts, my beliefs are changing. As a Mum I have a daughter who has just started her period. Her body, her thoughts and her beliefs are changing. As you can imagine with 2 females in the house going through hormonal change, life can be turbulent at times. My husband reacts to this by yelling and my son by withdrawing to his bedroom. Everyone is changing. I am ready for change, I embrace change. As nature changes, so do I.
I am a woman with a wealth of experience and knowledge. I am a Nurturer. I am a straight talker. My words often come with love, sometimes with frustration. I love sharing my knowledge with others. I love connecting people together. I prefer smaller intimate groups rather than big rooms of people with lots of noise. I love to cook a meal for my friends and family. I love to listen to other people’s stories. I am a Mum, I am a wife, I am a daughter, I am a sister, I am a friend. Are you a Maga Woman too? 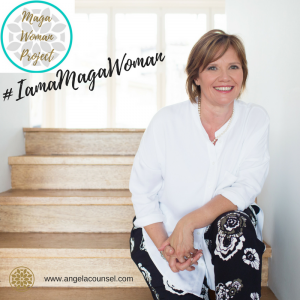 Over the next few weeks I will be launching the Maga Woman Project (MWP). The aim of the MWP is to build a community of wise women who are ready to change and make a difference in their world. This will be a community where you can be yourself, where you can laugh and cry, where you can meet new friends and sit down to a lovely meal and talk. MWP is also about collaboration, about sharing wisdom with others. MWP is about living your best life on a physical, emotional and spiritual level. If you are a woman over the age of 45 then the MWP might be just what you have been looking for. 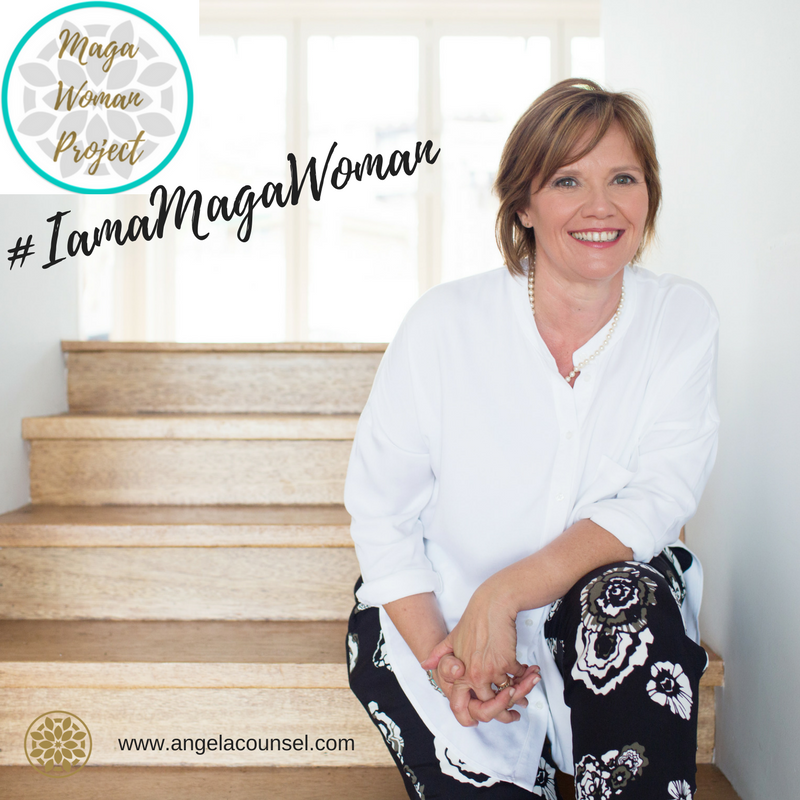 I expect to launch the Maga Woman Project on November 1st 2017, so stay tuned. ← What is the best diet to achieve optimal weight? I love it Angela. I too am a Maga Woman! I hope to be able to join you at some of your gatherings.